China has been reluctantly been shooting back with tariffs at US imports up to now in the Donald Trump trade war. 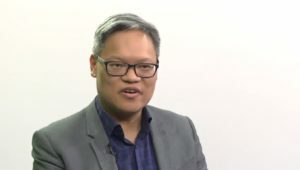 It might be even more reluctant to use the powerful tool of its consumers in the trade war, says political analyst Victor Shih in the Financial Post. But it could, and Apple and Starbucks should prepare, says business analyst Shaun Rein on Fox News. China has been careful to pose as the good guy in this fight. The spectacle of Beijing unleashing nationalist boycotts on Procter & Gamble Co., Coca-Cola Co. and Apple would make that facade harder to maintain, and give ammunition to the U.S. argument that China’s economy is ultimately a tool of the Party. Shaun Rein, managing director at the China Market Research Group in Shanghai, told The Post that the Chinese government could stoke anti-American sentiments among consumers, similar to its boycotts last year on South Korea’s Lotte Group, causing dozens of their stores to close. More in the Financial Post and Fox News. Both Shaun Rein and Victor Shih are speakers at the China Speakers Bureau. Do you need them at your meeting or conference? Do get in touch or fill in our speakers’ request form. Are you looking for more experts on the emerging trade wars? Do check out this list.